Enjoy the summer vibes, good times atmosphere, & fab food trucks down at Silo Park this Friday. We’re celebrating Auckland - our fair city - this anniversary weekend. And we have decided to do so in gloriously spooky fashion by screening a documentary, shot in Auckland. Bring along your scaredy cat mates to this week's movie and help them face their fears. We're watching Spookers! This funny and improbably charming documentary, created by Kiwi/ German film maker Florian Habicht was a crowd favourite and breakout hit at the 2017 NZIFF. 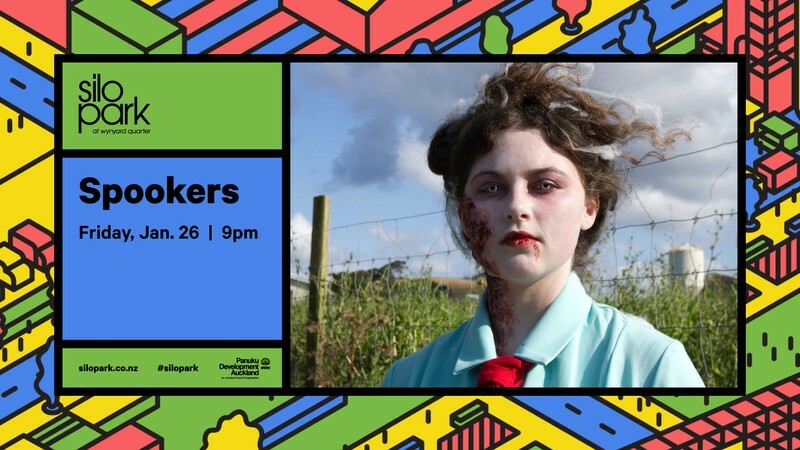 Taking a peak behind the gory curtain of Spookers, the hugely popular horror theme park, situated at the former Kingseat Hospital, to show us the real lives of the actors and the close knit community they have created. Don't forget your rugs & blankets for comfort (and for hiding behind if necessary - we don't judge), and enjoy! To see the full summer programme, visit our website.